The history of the Colt Government M1911 Pistol began in early 1900s, when famous designer John M. Browning began to develop semi-automatic pistols for Colt Company. 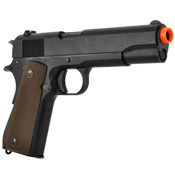 In 1906-1907 the U.S. Army announced trials to replace its service revolvers with a new, semi-automatic pistol. 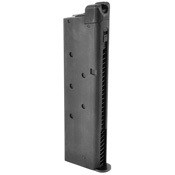 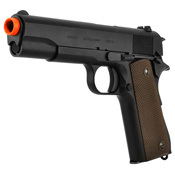 The Army required the new pistol to have the caliber of .45 inch, so Browning designed its own cartridge that fired a 230-grain (14.9 gram) bullet, and then, designed the new pistol around it. In 1911, the new pistol and its cartridge were adopted for U.S. military service as the M1911. 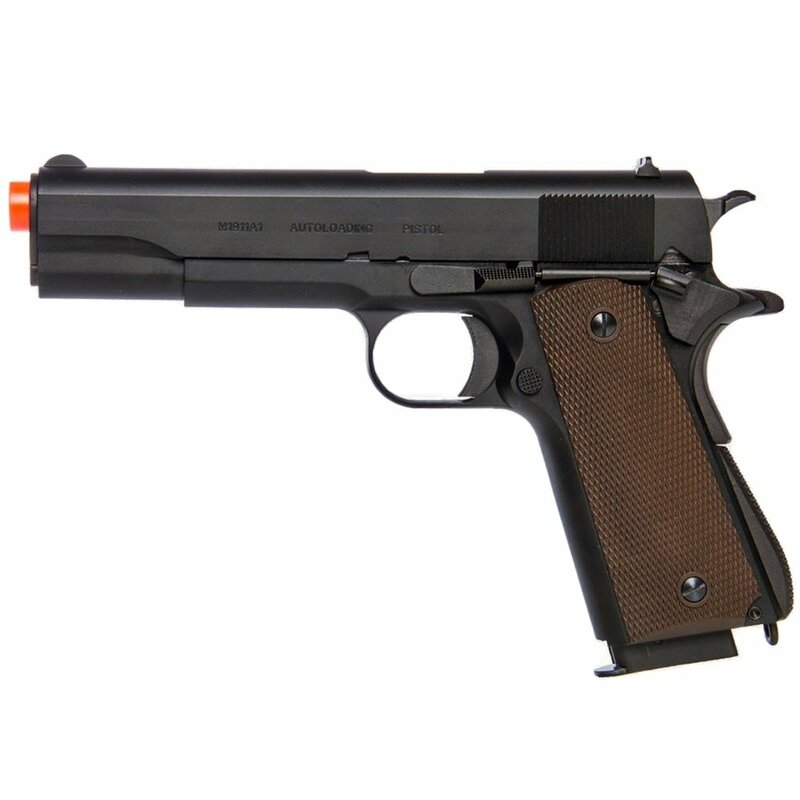 The improved design was adopted by the US Military as the M1911 A1 pistol, and served with distinction until the mid-1980s. 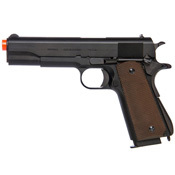 KWA has replicated this iconic service pistol in an airsoft version as the KWA M1911 A1. True to the real firearm counterpart, the KWA M1911 A1 features the same functions as the real M1911 A1. The frame and slide are made of metal alloy. 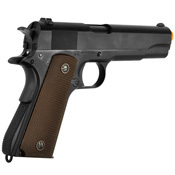 The KWA M1911 A1 also features a working thumb safety and beavertail grip safety. Like the real M1911 A1, the KWA M1911 A1 has fixed irons sights.